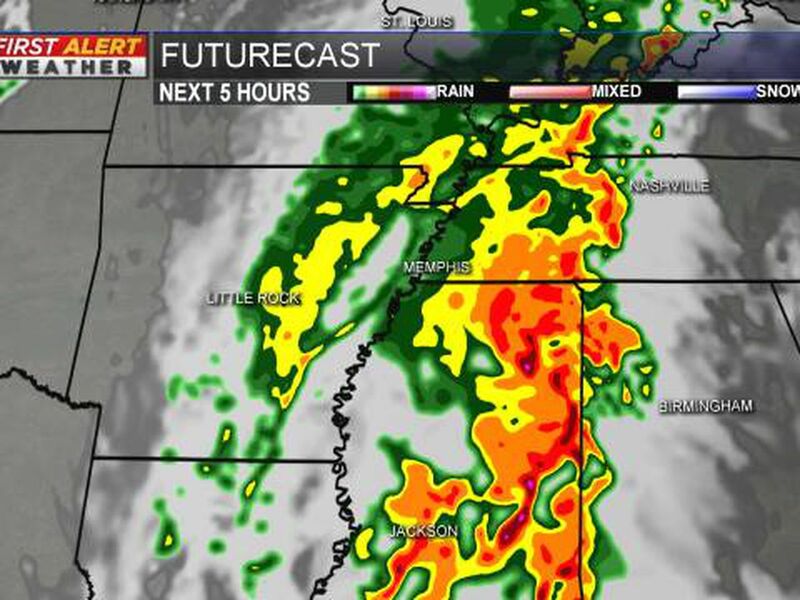 MEMPHIS, TN (WMC) - The First Alert Weather Team is tracking a low-pressure system that will swing into the Mid-South Friday night going into Saturday morning, bringing the chance of strong to severe storms to the region. SET UP: Moisture and warm air will surge into the Mid-South behind a warm front that will move in Friday. This means that temperatures will soar near 70 degrees by Friday afternoon. As the cold front swigs across the region, we will see a few strong storms possible as the cold air rushes and displaces the warm air over the area. RISK AREA: The Storm Prediction Center out of Norman, Oklahoma has placed portions of Eastern Arkansas and North Mississippi under a Slight Risk of severe storms, this is a 2 out of 5 on our severe threat scale. The remainder of the Mid-South is under a 1 out of 5 or a Marginal risk for severe storms. This means the greater threat for storms will be along and west of Interstate 55. STORM THREATS: The primary threat with this system will be gusty winds along with lightning and heavy rain. The tornado threat while not very high is not zero, so we will be tracking this system very closely. LATEST TIMING: Timing for the storms will change as we push closer to Friday, but right now we are looking at strong storms impacting into the region after noon with storms possibly impacting the commute home for Friday. 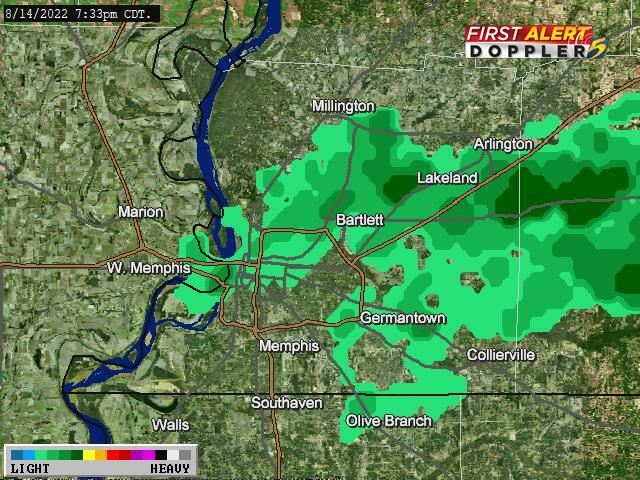 Rain will linger into the Mid-South for Saturday morning, that means it may be a bit wet for the St. Jude Walk/Run. 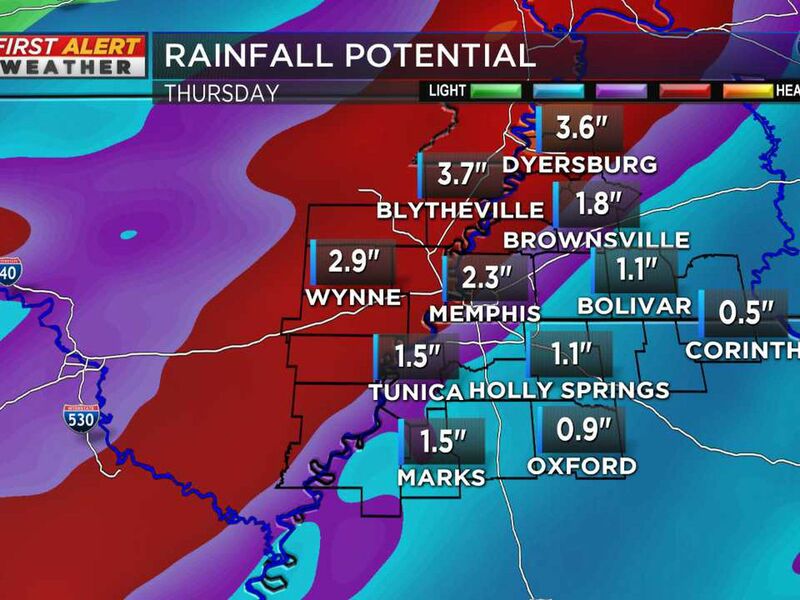 RAINFALL POTENTIAL: As for the rainfall potential with this system, we will see roughly a one to two inches of rain. We could see some locally higher amounts in any heavy downpour we do see across the region. Remember to turn around and don’t drown if flash flooding does occur. The system should push east as we move towards Saturday afternoon with sunshine returning by Sunday. Cold artic air will push back into the Mid-South as we move into the second day of December. Keep it with the WMC Action News 5 and the First Alert weather team for the latest on the severe weather chances as we move into Friday.